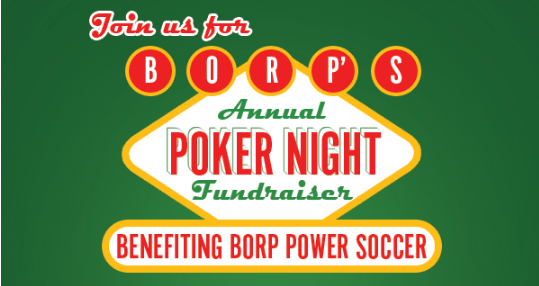 For 16 years now, the Bay Area Outreach & Recreation Program (BORP) in Berkeley has hosted the Poker Fundraising evening which benefits the Power Soccer program BORP offers and this year’s event is happening on Sat., Feb. 23rd with the doors opening at 5 p.m.
A $100 donation will give you access to the tournament, great food, drinks, and a chance win awesome prizes. There will be an option to rebuy if you happen to get knocked out of the tournament or you can join the knockout table to play for an extra prize. Food and non-alcoholic beverages are included in the ticket price but there will also be a cash bar. The event takes place at the Ed Roberts Campus, 3075 Adeline St., Berkeley. To register and purchase your admission, CLICK HERE.